A woman in full zombie garb was arrested twice for DWI within the span of three hours, according to local news reports. 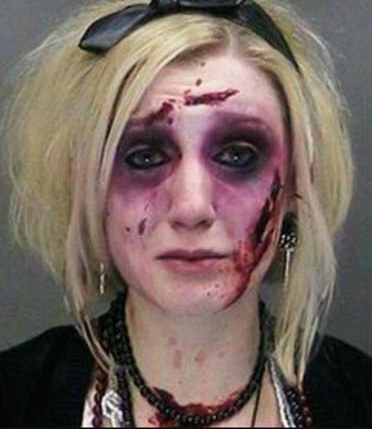 Catherine Butler, 26, was driving without her headlights on after leaving a Halloween party early Saturday when she was pulled over and arrested by Police. Butler was bailed out by a friend and released.